In the state of Texas, the oil business is larger than any other industry. The boom of fracking and drilling throughout the state has brought more attention to the oil industry, and not all of it has been positive. Despite a focus on safety from within the industry itself and various government agencies, fatal accidents still regularly occur on Texas oil fields today. Issues with safety regulations aren’t new. There have been several attempts by the Occupational Safety and Health Administration (OSHA) to address this ongoing problem. One of OSHA’s first clashes with the oil industry began in 1983. OSHA hoped to impose a set of safety rules to protect oilfield workers, and hopefully lower the high death rate within the industry. When their effort was denied, OSHA crafted a proposal that exempted drilling companies from the rules regarding explosion prevention, noise protection, and machine safety. Their plan wanted to cover these issues in a rule book format, but the proposal was never completed. As a result, drilling companies weren’t bound to the rules regarding the protection of oilfield workers in the workplace. This brought an arrogant mentality from the oil industry towards federal, state, and local governments in regards to implementing safety regulations at their drilling sites. Some drilling companies are still exempt from a number of safety standards today. This leaves OSHA officials and inspectors with a difficult job when attempting to deal with today’s safety policies. Currently, they have too few tools to regulate an industry that has unique hazards that could occur at a moment’s notice. All of this becomes more of a concern as the oil industry moves into heavily populated communities to secure oil from underneath the earth’s surface. Many residents fail to grasp the potential dangers of this situation because they live and work by the current rules in place. This is reinforced by oil company leaders who feel the industry has taken safety precautions seriously. Too often, the safety of oilfield workers is compromised because there is a high risk of injury each day at work. They put their lives on the line in order for oilfield owners to reap the benefits of their actions. Their work conditions offer a daily risk of being exposed to poisonous gases, fires, and explosions. If a worker is injured in an oilfield accident, they could find themselves in a fight to gain fair compensation for their injuries. If you suffer any harm while working in the oilfield, you may want to seek out a personal injury attorney. These lawyers can help you become financially stable if an accident has put you out of work and get you the compensation you deserve. 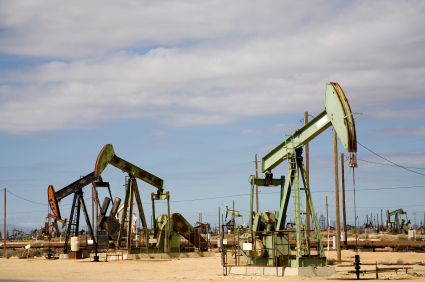 Being in an oilfield accident is stressful and can have lifelong consequences. Contact Attorney Dean Boyd for more information about how we can help with your Oilfield Accident claim. You can reach us at (806) 242-3333 or Contact Us by email to learn more about our Services. You can also visit our office at 4423 SW 45th Avenue in Amarillo, Texas or or 5012 50th St #103 in Lubbock, Texas.